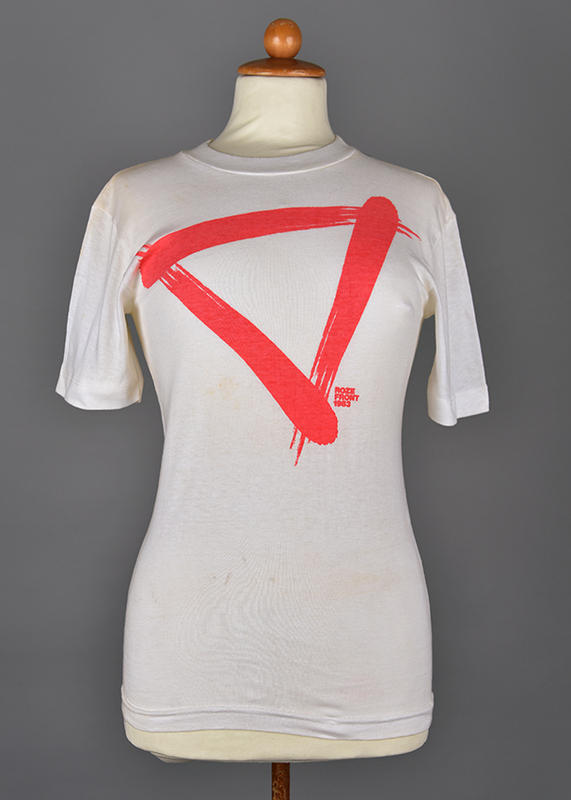 White t-shirt with logo pink Saturday 1983 (Leiden). Roze Front was an emancipation movement of Dutch gay and lesbian groups that was involved in the organization of the annual Pink Saturday. “Roze Front 1983,” Wearing Gay History, accessed April 19, 2019, http://wearinggayhistory.com/items/show/4677.